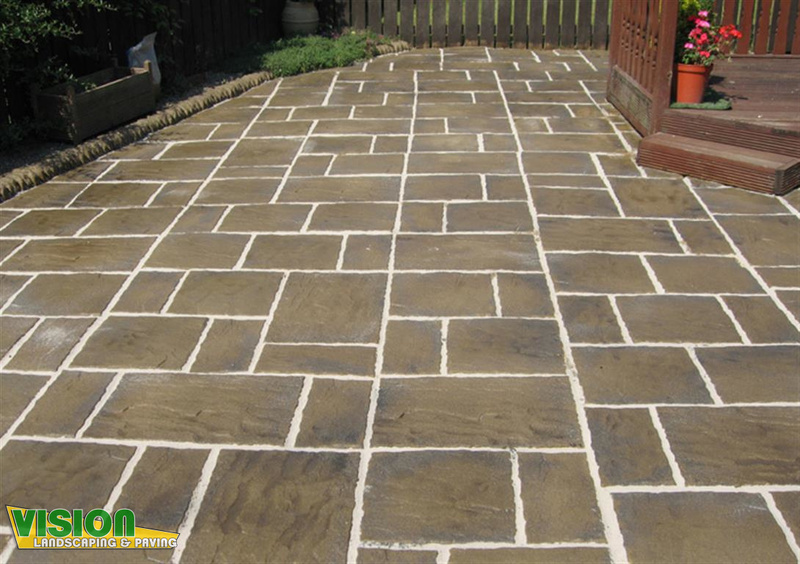 You are getting the best when you get Vision Landscaping and Patios for your paving needs. 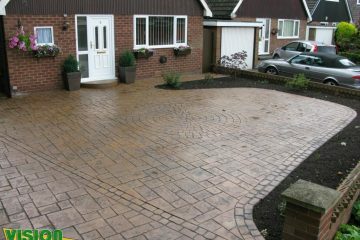 We offer the best prices combined with years of experience and outstanding workmanship on every driveway or patio we do. 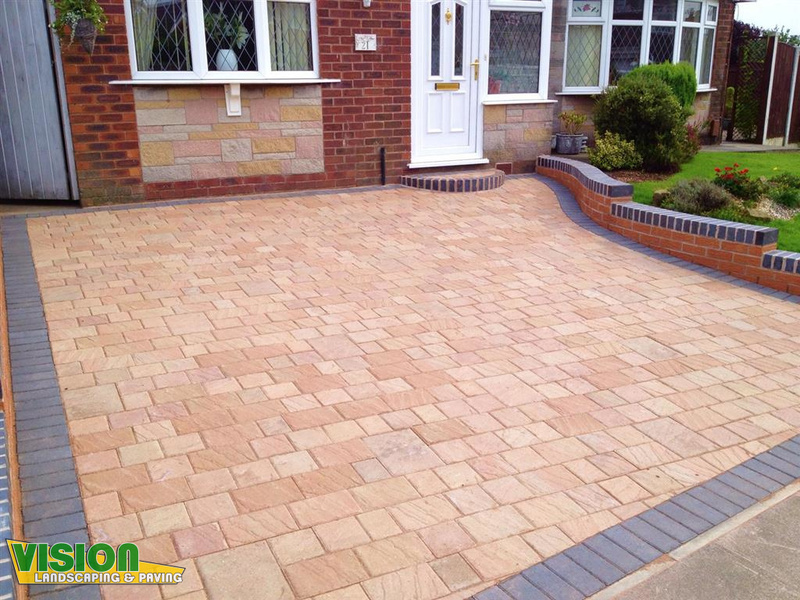 With a certified and qualified team capable of handling any sized driveway, you are guaranteed to love our work. 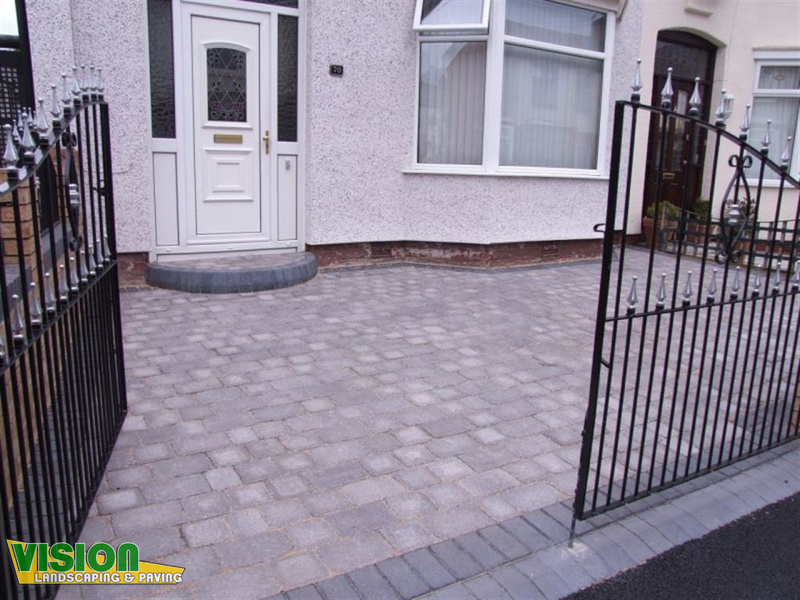 A paved driveway is not only beautiful to look at but is also one of the most durable and practical solutions for any driveway. It holds its colours well, is safe to walk on and will last for many years if its maintained properly. 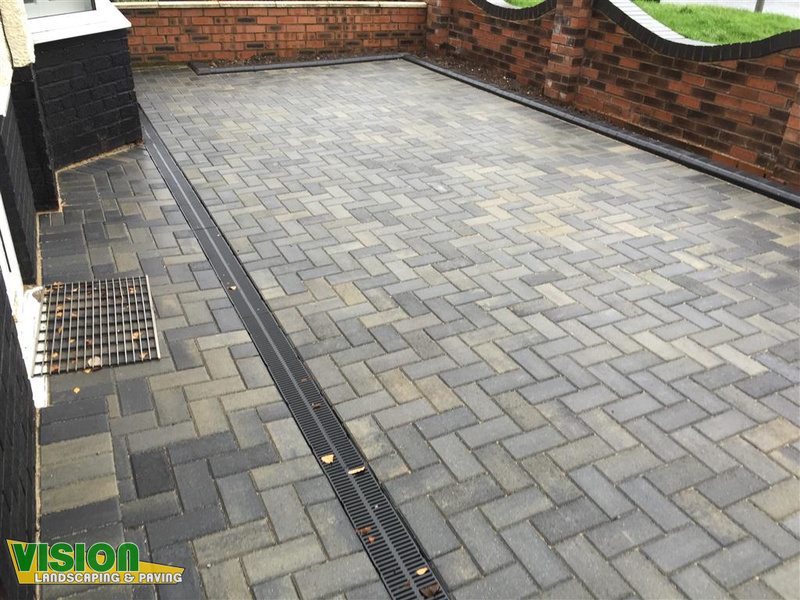 Getting your driveway installed by a proper paving contractor, makes the difference between having a driveway that will last for a couple of years vs a driveway that will be in great condition for 10 years or more. 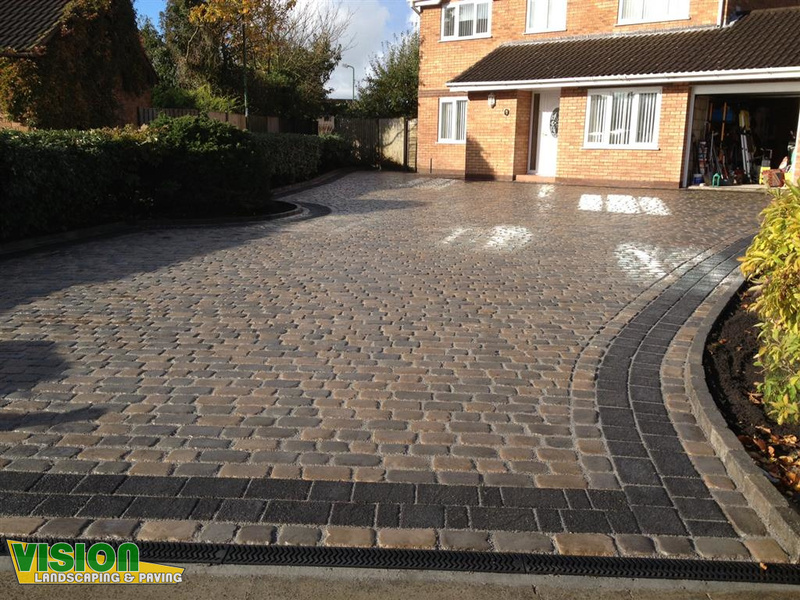 We are professional driveway contractors covering all of Dublin including Clondalkin, Knocklyon, Dundrum, Monkstown, Dalkey, Booterstown, Ballsbridge, Sallynoggin, Cabinteely, Sandyford, Foxrock and more. 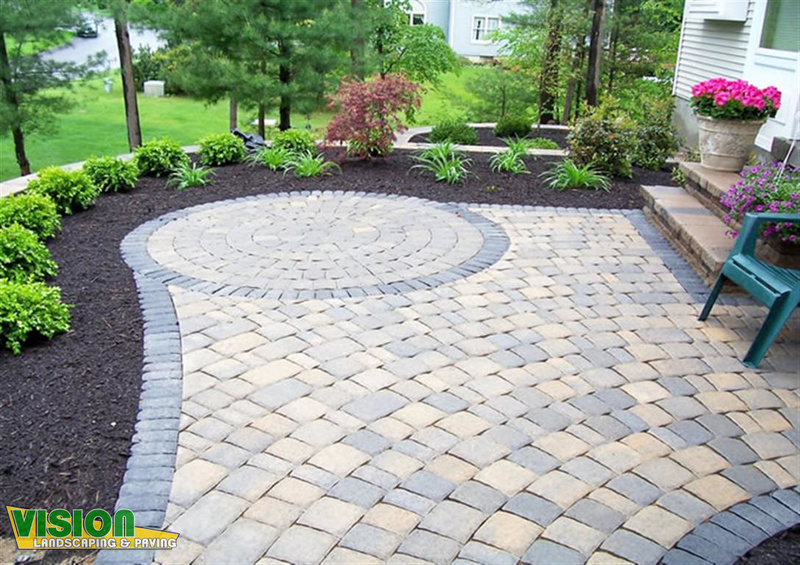 You can seal your driveway paving to enhance its beauty and protect it even longer. 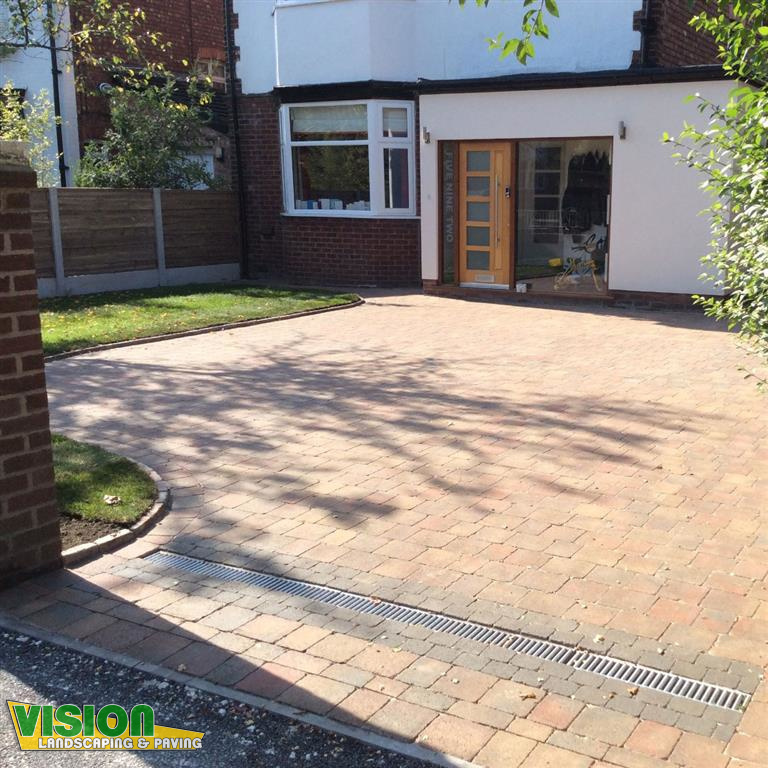 Make sure to ask us over our sealing options, as any client who has had their driveway installed by Vision Landscaping and Paving, benefits from a 60% discount on any sealing. 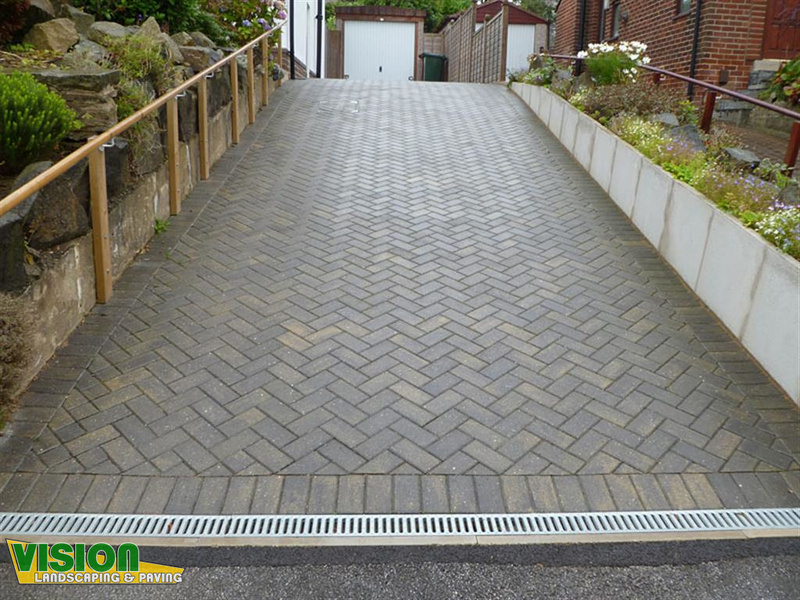 Block paving can be done in endless variations. 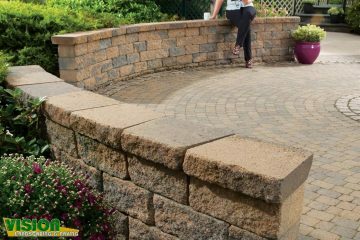 Not only does paving come in many shapes, textures and styles, you can join block paving with nearly any other type of surface. 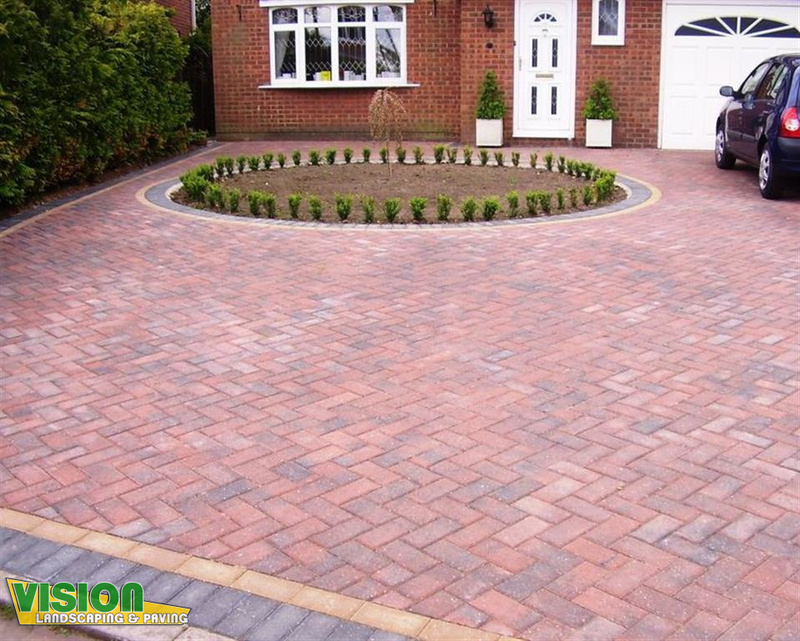 For example, paving goes great as a border on a tarmac driveway or inserting a paving circle in a middle of shingle driveway can really make your driveway stand out. 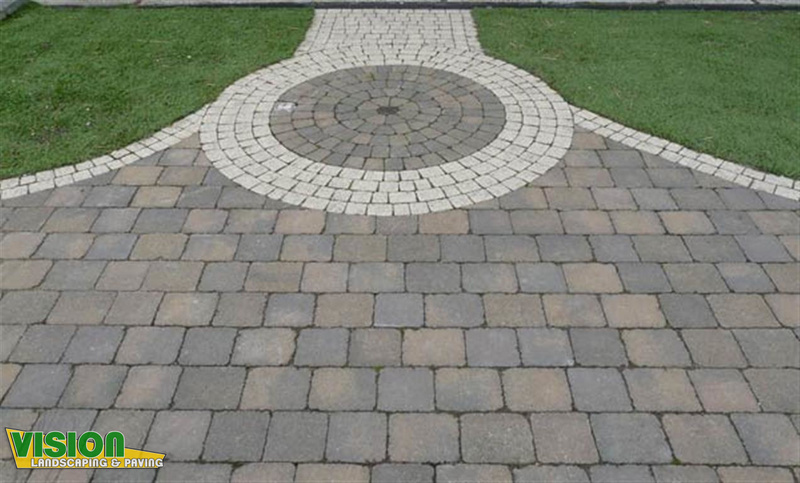 Unique patterns and shapes can be installed into your driveway as well. 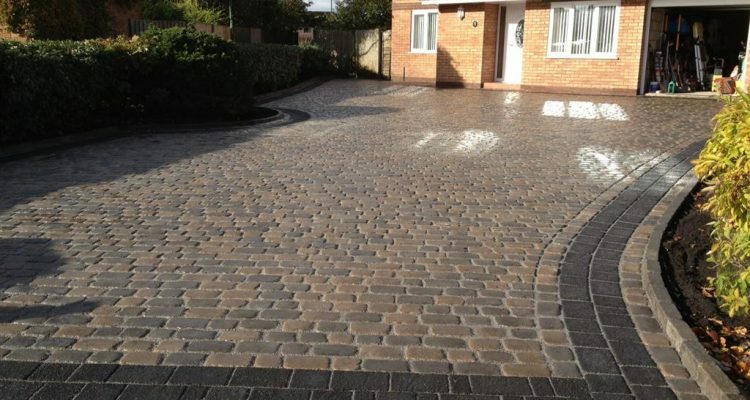 Diamonds and square patterns are the most common shapes that are being used to highlight or break up any open area of paving. 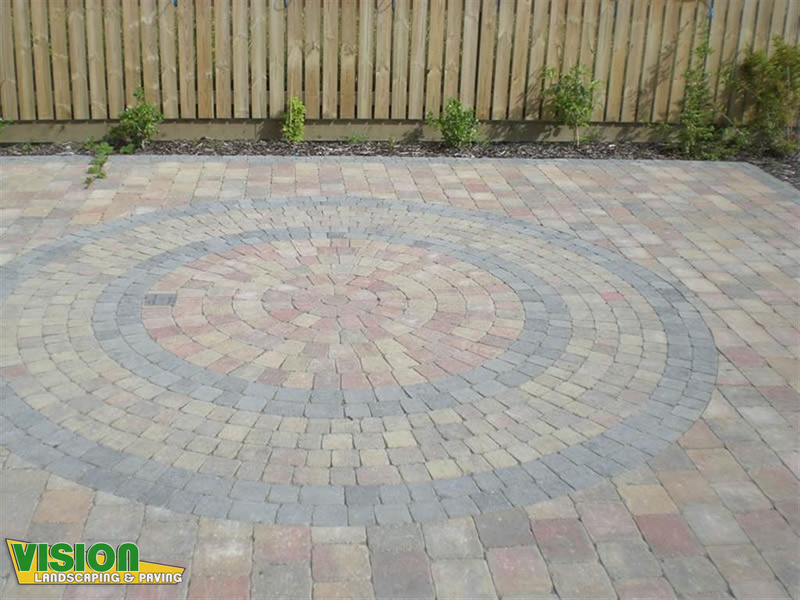 You can rest assured that whatever your paving in Dublin requirements are, Vision Landscaping and Paving are the company for you! 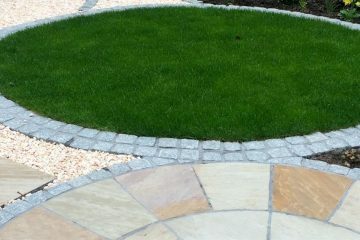 Give us a call now for a free no obligation quotation on your driveway or patio in the Dublin area. You will love our prices! Call today for a free quote. We cover all of County Dublin including Clondalkin, Knocklyon, Dundrum, Monkstown, Dalkey, Booterstown, Ballsbridge, Sallynoggin, Cabinteely, Sandyford, Foxrock and more.